Buying the right pair of running shoes is one of the most important decision you can make. Runners come in all shapes and sizes with different foot types and gaits. The best running shoes for women will match your needs for support, pronation and cushioning. In this article, we’ll explore the best running shoes for each category of running shoe. Depending on your personal preference and foot structure, it’s likely that the running shoes best for you will be within only one or two of these categories. We grouped our recommendations into the basic types. The technology of running shoes has exploded in recent years so that you can get a pair that will provide exactly what you need. Let’s get moving! Pronation describes the inward rolling motion of your foot from heel to toe as you run. If it’s neutral, your foot will roll in slightly, but not excessively. If you look at an old pair of shoes, you’ll notice more wear on the outer heel and down the center by the ball of your foot. Typically, this is most common if you have medium arches. But runners who supinate- i.e. roll on the outside of their feet – will also benefit from a neutral running shoe. Supination is most common with runners who have very high arches. Neutral running shoes provide some support and cushioning. But there is nothing built into the shoe that will correct or realign the foot like stability or motion control shoes. It’s a pair that we could see wearing every day because it’s so comfortable to wear just walking around. The traction is excellent too, making it a good choice if the pavement conditions are sloppy. The energy part comes from the DNA AMP midsole wrapped in a thermoplastic urethane overlay. This unique foam does three things: provides an efficient energy return, keeps its shape and form for many miles, and stays the same regardless of external temperatures (EVA foam used in other running shoes gets hard as a rock in cold temps and mushy in hot conditions). New in the second version of this shoe is a soft heel. It gently wraps the foot creating a secure fit that helps protect the Achilles. You’ll notice it in the cushioning and support that they provide. While we liked the in-shoe feel, we thought it bordered on being less flexible than we’d like. Overall, they’re a good pair that will last for lots of miles. 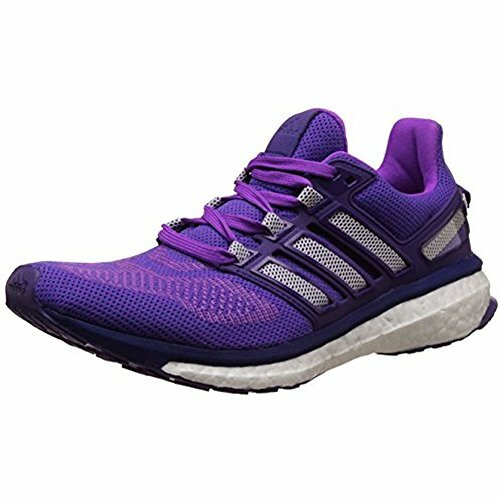 Like the Levitates, the Adidas Energy Boost uses unique polyurethane foam to provide a cushioned, energy-returning ride. The manufacturer’s goal was to create a responsive shoe that would help the energy transfer to make running easier. They are comfortable with a generous amount of cushioning. The mesh upper is springy enough to give you plenty of wiggle room. We loved the breathability to keep your feet cool. However, we can’t say the same about the sole. We thought it wasn’t as flexible as it could be, especially given its name. It lacked the ground feel we like. While they miss the target as a go-to running shoe, they look great. They come in a good range of colors from conservative to wacky. And if you like soft, padded cushioning in the heel collar, they are worth a look. There’s a lot to be said for a running shoe that has stood the test of time. The 35th version of the Nike Air Zoom Pegasus is a fitting update. They have a lower profile with a sleek look to them. You’ll notice the redesign of the tongue which helps to keep it in place better. The tab behind the heel cradles and supports the Achilles. The toe box is roomy with plenty of ventilation to keep your feet cool. The cushioning is outstanding, making it a pair you’d want to wear for everyday trainers. They’re lightweight, making them a good choice for recovery runs too. New to version 35 is a women’s version. The Zoom Air cushioning runs all the way across the bottom of the shoe – not just the heel and toes like earlier models. And the foam is softer than the men’s version. Women tend to land softer than men while running. The softer foam keeps the shoe responsive while making it more cushioned. The only issue that stood out for us was the bottom of the sole. While it provided adequate traction, it also had the nasty habit of gripping small stones occasionally. 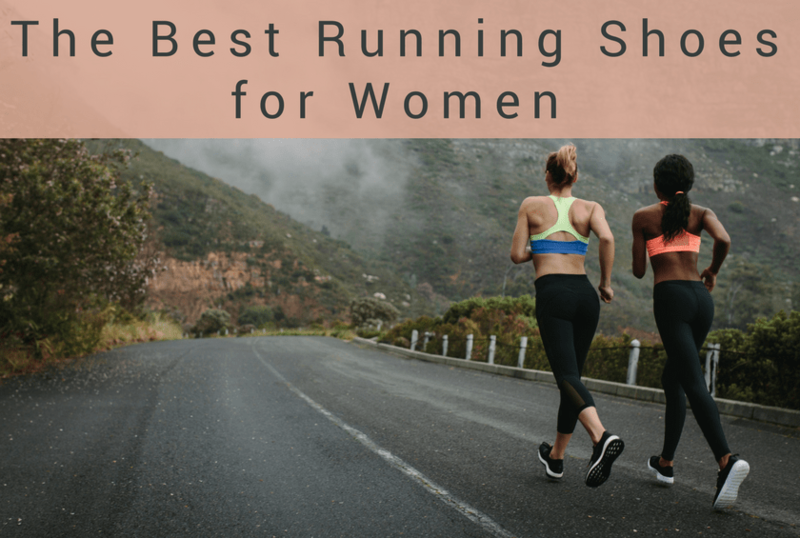 Otherwise, we’d certainly consider it as one of the best running shoes for women. The Brooks Glycerin 17 has a lot going for it, making it a worthy contender for a serious running shoe. Right out of the box, you get the impression that it’s a quality product made of excellent materials. It’s a lightweight pair that doesn’t compromise on comfort or durability. The best word to describe the cushioning is plush. There is a generous amount of padding around the heel collar. The midsole is made with DNA Loft. This new type of foam provides both soft cushioning yet remains durable. However, it detracts slightly from the ground feel. The mesh upper is stretchy with great breathability and toe space. The support through the arch is excellent. Everything about these shoes is soft which made them a pleasure to wear. 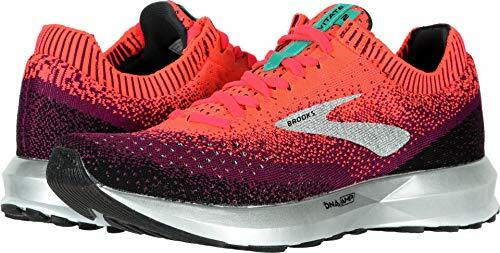 They’re a great example of the quality that we’d expect from Brooks. We start off by saying that maximum cushioning and a rocker style running shoe are not everyone’s cup of tea. 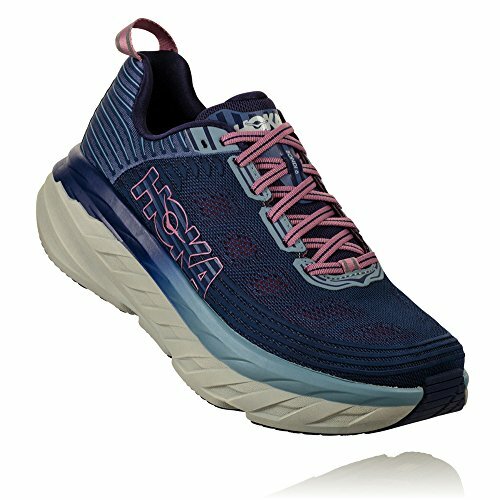 But if you want a running shoe with the most cushioning possible, then the Hoka One One Bondi 6 is worth a look. It’s a pair that you can use for long or recovery runs. It’s that comfortable. The mesh on the upper is slick with welcome breathability. The arch support is excellent too. The manufacturer added extra rubber on portions of the sole that wear quickly to help extend the life of the shoes. As you may expect with this type of product, flexibility takes a hit. However, you’ll find that your gait feels smooth and natural thanks to the unique metarocker in the sole. While the rocking does take some getting used to, you’ll adjust quickly after a run or two. Stability shoes are the ideal choice if you overpronate. This means your foot rolls inwards excessively from heel to toe as you run. This is most commonly found with runners who have flat arches; however, that’s not always the case. You can find out if you overpronate by looking at the bottom of an old pair of trainers. You’ll notice greater wear toward the inside of your heels and on the inside part of the shoe near the ball of your foot. The design of these shoes often includes extra support in the midsole. They also feature more cushioning to absorb the impact of running better to make up for the difference in your stride. 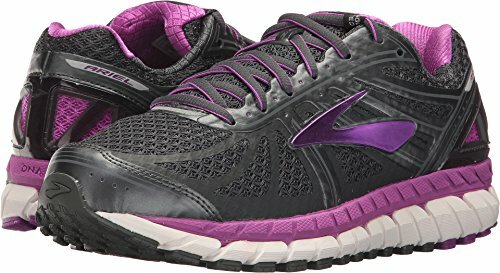 The Brooks Adrenaline GTS 19 is one of the best running shoes for women who overpronate. They’ve been one of the best-selling running shoes in the entire running industry for years. The Adrenaline GTS 19s are lightweight with a low profile. New to this version are guide rails built into the sides of the shoe. Unlike traditional stability found in most running shoes, Brooks uses the guide rails to gently realign your foot as you run. This allows for a more custom type of support. The guide rails only correct overpronation when you need it. And it lightens up the shoe and allows for better wear and durability in the midsole. The mesh upper gives the Adrenaline 19 a sleek look that we found quite attractive in its full range of colors. The fit was spot-on throughout the shoe including the toe box. Cushioning is more than adequate, especially around the heel collar. The shoes strike a fine balance between comfort and support. They’re an excellent choice for longer runs with exceptional stability. The Saucony Guide ISO 2 provides the support that overpronators need. It includes a layer of Saucony’s proprietary EVERUN in the midsole. This gives the shoes a springy, cushy feel that we loved. The traction is excellent on wet surfaces. The shoes are responsive and lightweight. However, you’ll need time to break in these shoes because they’re a tad stiff because of the added support. We also noticed some irritation in the arch area. Otherwise, they’re comfortable with ample cushioning throughout the construction. The ISO lacing system provides a comfortable, yet snug upper with an almost sock-like feel to the shoe. The traction is top-notch, giving you plenty of control no matter what the surface conditions. The medial posting provides outstanding arch support. Overall, they’re a good pair of shoes with some minor issues in comfort. The Asics Gel-Kayano 25 is the latest offering by the Japanese-based manufacturer. 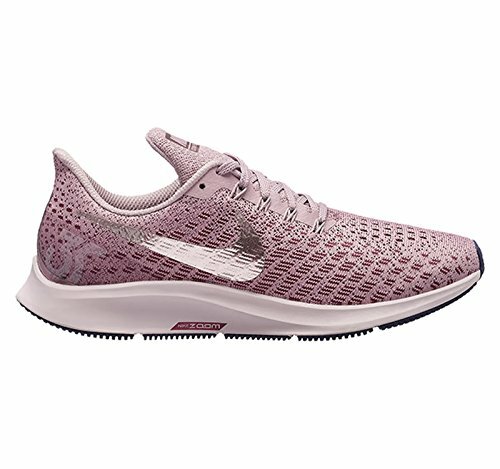 This line of shoes has succeeded in offering a running shoe that balances comfort and cushioning with support and stability. The outstanding feature is its cushioning, evident from the brand name. They’re ready for the run right out of the box. The generous padding throughout the construction makes them an ideal pair for long distance or recovery runs. It has a 10mm heel drop for a fluid run, especially for heel-strikers. The stability and support are top-notch. The heel is stiff enough to keep your foot from slipping. The toe box is adequate but might be a tad narrow for people with wider feet. And they aren’t the most flexible of the shoes we considered. That’s the price of the added stability. New in version 25 is an upper that’s soft and plush. Also new is the latest Flytefoam technology. This midsole foam lightens up the shoe while providing a responsive, energy-returning ride. The Nike Air Zoom Structure 21 catches your eye when you first see the pair with its sleek design and low profile. It has a snug fit, though it didn’t carry through to the heel which felt loose. Overall, they’re lightweight with firm cushioning that adds to its stability. The toe box offers plenty of wiggle room. The Flymesh upper adds to the comfort with outstanding breathability. They’re comfortable and lightweight. They’re a good choice for longer runs and will add plenty of spring to your stride. They are true to size which is always welcome. The midsole sits high which some individuals may dislike. The ground feel isn’t there if that matters to you. You’re sure to find something you like with 15 different color choices. 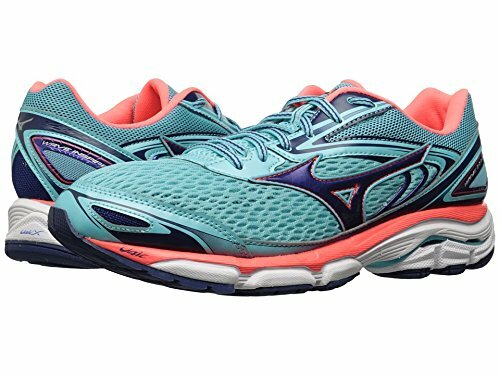 The Mizuno Wave Inspire 14 is a welcome update to the Inspire 13 with a few tweaks in the design. It has a comfortable fit, albeit, a bit snug in the heel and midfoot areas. The stability and support are excellent for overpronators. The shoes have exceptional breathability with its thin mesh that’ll keep your feet cool. There is an ample amount of cushioning around the heel collar. Overall, they are quite flexible and lightweight. They have a springy feel to them for a smooth ride. We found them responsive despite the thickness of the sole. They’d work great as an everyday trainer or for daily runs. We were disappointed with the color selection. Other than that minor issue, they’re a good value for the price for a shoe that will last. 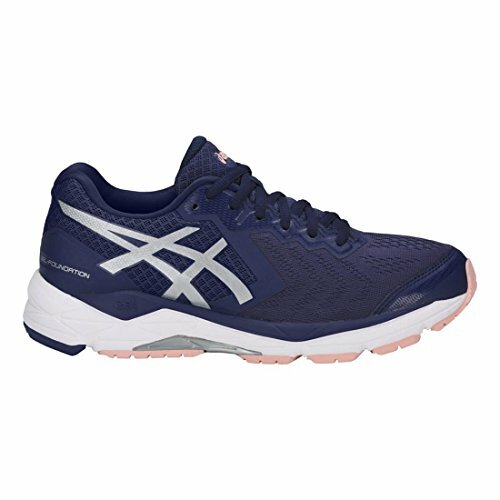 These lightweight shoes are the ideal choice for runners who want a responsive pair with excellent ground feel. The purpose is to help you adapt to a more natural stride. The lighter weight also means less fatigue and a “faster” shoe. These products will have reduced cushioning than the others we’ve reviewed. You’ll see it in the construction with less emphasis on support and a lower heel drop. Most of these shoes don’t have much support; however, if you run with good form, stability and support are less of an issue. 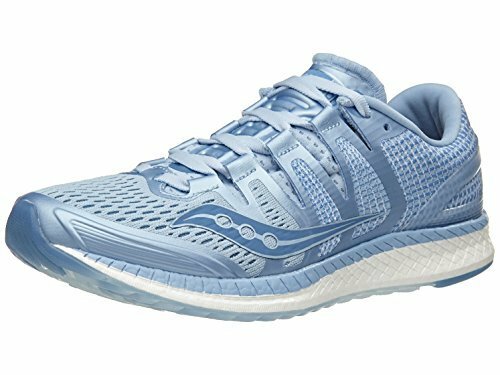 The Saucony Liberty ISO is a pair of shoes that will stand the test of time. That’s a good thing because they’re not cheap. That said, they are a smart choice if you’re looking for fast and responsive running shoe. Unlike its sister shoe, the Freedom, the Liberty ISO has a tiny bit of support to keep the shoes in place during longer runs. Because of all the Everun foam in the sole, the bounce and energy return can be too much without a natural running stride. The Liberty smooths that out with it’s light medial post. Traction is spot-on for quick turns and plenty of grip. The heel is firm in a good way. It has a 4mm heel drop. Overall, the fit is snug without feeling binding. 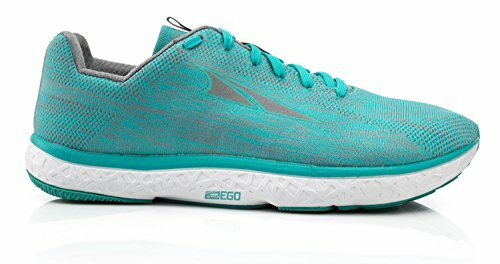 The color scheme is a bit out-there, but it’s splitting hairs for one of the best running shoes for women. 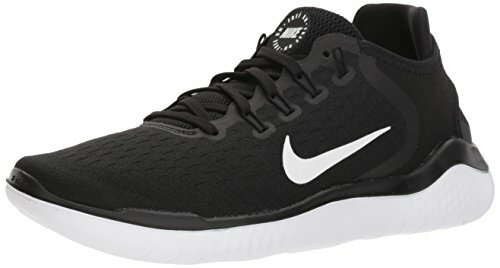 The Nike Free RN 2018 is about as close as you can get to running barefoot with its extreme minimalist design. However, it avoids the discomfort issues of traversing rough terrain with cushioning in just the right places to absorb the impacts. It has a low profile which gives the shoes a casual look for wearing at work. There is a transition period with these shoes. However, that’s also the case whenever you switch to this type of footwear. It will shorten your stride and strengthen the front of your shins over time. The shoes are very comfortable with lots of stretchy spandex for plenty of give. The newly redesigned mesh on the upper is seamless, so you don’t have to worry about rubbing or irritation. They are responsive and offer the exceptional ground feel that characterizes this type of shoe. 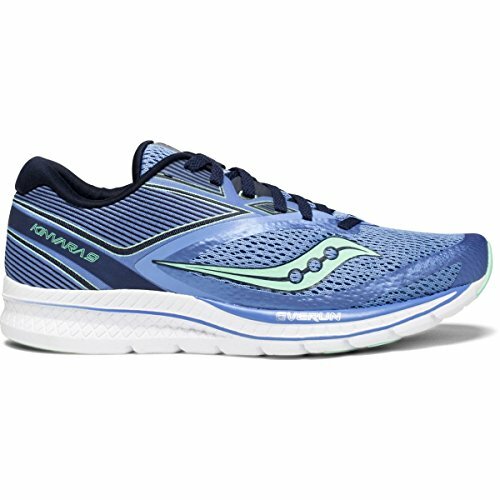 The Saucony Kinvara 9 is the shoe to look at if you’re want for a cushioned but lightweight running shoe. We’re talking 6.5 ounces. The cushioning is excellent despite its minimalist design. The energy return is top-notch too due to the foam in the midsole. It’s the kind of shoe you can wear for your daily or long run. It has a low heel drop at 5.9mm. Padding around the heel collar was soft, making it a comfortable shoe out of the box. We can’t say that we liked the color options. Even neutral choices seem a bit out-there. 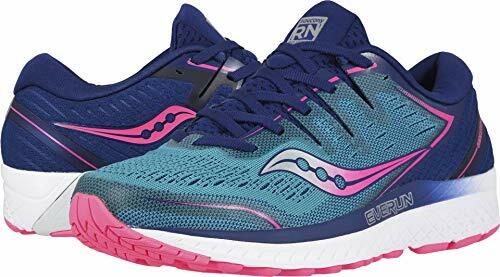 The Kinvars won’t last as long as other pairs – just a price to be paid for their lightweight design – but otherwise, the shoes certainly rank high on our list of the best running shoes for women. 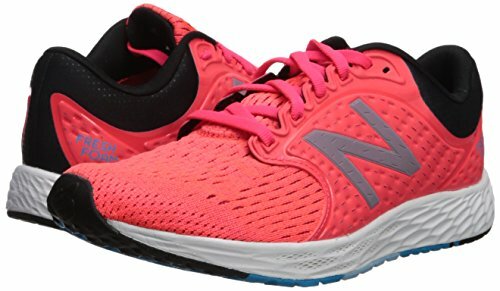 The New Balance Zante v4 is the Swiss army knife of running shoes. It can do it all from daily runs to your shot at a PB at a 5k. In many ways, you can think of these shoes as a neutral pair with features that will appeal to those with few issues with pronation. They are like a racehorse wanting to get the chance to take off while offering a cushy ride to boot. It differs from others in its lineup with less cushioning but a design that wants to perform. The sole is soft with a larger pattern that provides decent traction but not great. 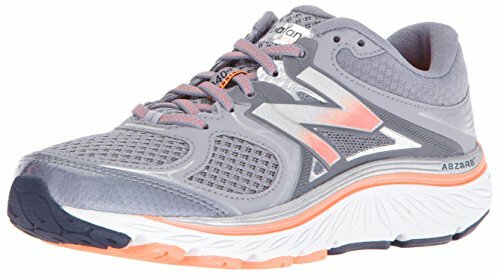 Support is there in the heel but overall these running shoes don’t provide much stability. Like the Kinvaras, there lightweight design doesn’t lend itself for a long lifespan. If they held up better, we’d definitely put them on our list of must-have shoes. Motion control shoes are an option for severe overpronators. As you may expect, they are more rigid with stiffer medial posting and heels to control your gait. They are quite heavy, but this is due to the structure of the shoes. They are designed to keep your foot in a straight, neutral alignment. One of the risks of overpronation is that you’re not handling the impact of your feet hitting the ground properly. That can lead to knee issues or even injuries if left unchecked. These shoes can help correct it, and they also provide a ton of cushioning as well. The Brooks Ariel 16 is an excellent choice if you need serious stability and support. You’ll get it with maximum cushioning for a comfortable fit. That theme carries through with the mesh upper with its great moisture-wicking and ventilating properties. You’ll notice a springy feel to them that will aid your stride. The fit is just right all through the shoes including the ever-important toe box. You’ll have lots of wiggle room with this pair. While the sizes lean toward the small size, you can get them in different widths. They are also designed to hold an orthotic well. On the downside, these shoes are expensive which isn’t altogether unexpected considering what it is. It’s a pair of shoes designed for a specialized purpose. It does the job well. Some individuals can justify the cost to be able to run pain-free. 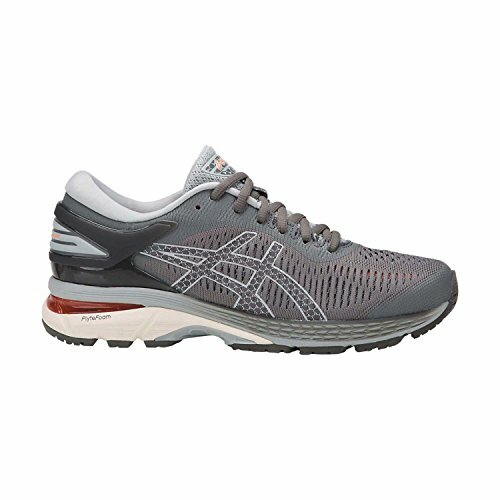 The Asics Gel-Foundation 13 balances a supportive design with maximum cushioning to provide an excellent fit. The energy return is spot-on with its springy sole. The padding is plush in all the important places including the heel collar and tongue. Its ComforDry Sockliner keeps your feet cool and dry for added comfort. The mesh upper offers plenty of circulation too. The fit is good with ample room for orthotics. They provide great arch support for a smooth ride. Overall, the shoes look great with a low profile that looks sleek. They’ll serve you well for both a daily run or a longer haul. They perform well on pavement but may lack the traction for trail running if you want to go off the beaten path. The New Balance 940 v3 takes cushioning to the next level with its ABZORB midsole, giving it decent energy return. It allows them to handle the impacts from the road like a champ. They have a higher profile with plenty of padding to keep you feeling stable and secure. They are very comfortable so that you can use them as an everyday shoe. They feel more substantial than some other shoes we tried, giving them a heavier weight. However, they are quite breathable which kicks up the comfort level. The design ramps up the stability too with its T-beam technology in the midsole. We liked the seamless construction of the upper with no detectable rubbing. And did we say that it is waterproof too? They are a bit expensive, but you may be able to justify the cost. 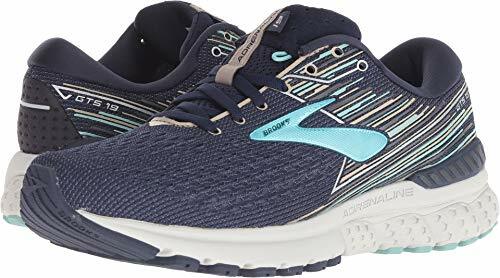 Zero drop running shoes – or barefoot shoes as they are sometimes known – are ideal if you want to run as naturally as possible, but want some cushioning to protect your feet. These types of shoes have a zero drop – meaning the toe and heel are the same height – unlike other running shoes that lift your heel higher than your toes. This encourages a natural foot strike, as if you were barefoot. And they feature a wide toe box to let you toes splay out without the restrictions found in other running shoes. That said, they’re not for everyone. They require you to take short, quick strides and land on the ball of your feet instead of your heel. If you don’t run this way naturally, it can take practice to get used to it. You’ll also engage different muscles in your legs (particularly, the calf) which take time to build up. The two running shoes that we think are the best in this category are made by Altra and feature some good cushioning under the foot. If you want an even more minimal experience, Vibram Five-Fingered shoes are still around. These fully replicate barefoot running. The Altra Escalante 1.5 are one of the lightest pairs of the running shoes we considered at 6.9 ounces. This is the pair you’ll want for speed when going for the PB. They are true to the zero drop character with a responsive pair with excellent ground feel. The cushioning is medium, striking a nice compromise between comfort and weight. You’ll find plenty of room in the toe box to give you a more natural gait. The heel, unfortunately, is not as stable as we expected. Otherwise, the fit was decent without any rubbing or irritation. The sole offered a good amount of protection, given the fact that it’s a zero drop shoe. However, they aren’t overly breathable, making them a better choice for wearing in cooler conditions than a summer run. 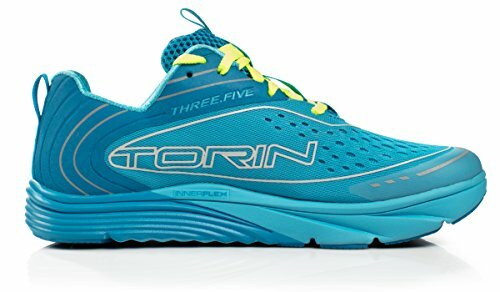 The Altra Torin 3.5 stands out as a versatile shoe with enough cushioning to protect from occasional heel striking for runners new to a natural running style. The design promotes running with proper form (short, quick strides with mid-foot landing) with its zero-drop (heel and toe are equal height) and wide toe box. The shoes are soft and comfortable, making them a pair you can wear all day long. There’s plenty of cushioning to handle what the road brings. The sole is unique in that it replicates the structure of your feet for a more natural gait with great ground feel. They’re quite responsive even with their higher stack height. The construction is sturdy and durable. The latest version of Torin comes in two upper styles: knit and mesh. The knit upper offers a sleek look combined with a soft, meld-to-your-foot fit. The tongue connects nicely to the upper to keep your feet secure. The mesh upper is extremely breathable. This version is closest to prior models. It features a snug midfoot fit and tight heel lock. The mesh version maintains the same price ($125) as earlier versions of the Torin. The knit option costs $10 due to higher manufacturing costs.